Why you are waiting for dream home? Live the life you deserve. Because your dream is your entitlement the moment you chose Hero Gharaunda Apartments. Hero Gharaunda is a showstopper from every point of view. For example its location that’s planned to expand unbelievably, its smart master planning and its conveniences…everything is meant to be great. With the intention that, when you invite your relative & friends in your home, you’d have that pride in your smile & eyes. That’s the pride of being a resident of Hero Gharaunda 1 HK, 1 BHK and 2 BHK apartments! Hero Gharaunda Haridwar has been carefully planned to give you choice, which is in itself the best possible luxury. The attractively green garden with flowers energizes your senses and prepares you to play your best role in day to day function. The smartly designed interiors, the premium fittings, color of the walls and finishes are intended to create a satisfying effect on your eyes and mind. All perfectly designed, just as if you’d personally put them in place. 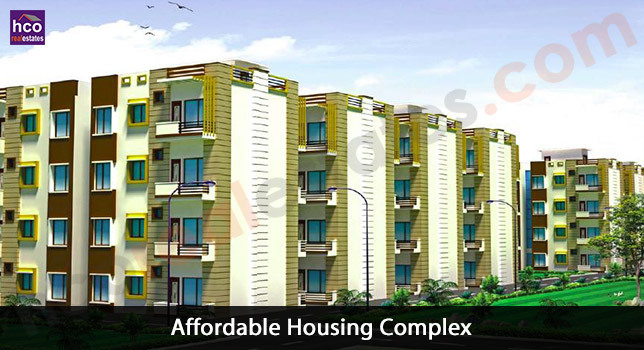 Hero Gharaunda Apartments absolutely mirror what living in best way would stand for. And that’s not at all; there are countless of spaces that are designed to keep you in shape and fit too. A club house with indoor & outdoor activities, gym & swimming pool. A special area for kids to play without worrying about vehicle and a special zone of senior citizens gives the elders a place to make conversation. Located in Industrial park –II, Salempoor Mehdood, Haridwar - an area well within the city limits, Hero Gharaunda spells absolute ease. On the point of everything that you’d require on an everyday basis and yet where noise and disorder is a far-away memory. Living here is really a smart choice. Not only because of the position but also because of the potential investment this area can establish to be.